A lot of people are asking me now what views they should create of their Application Landscape. 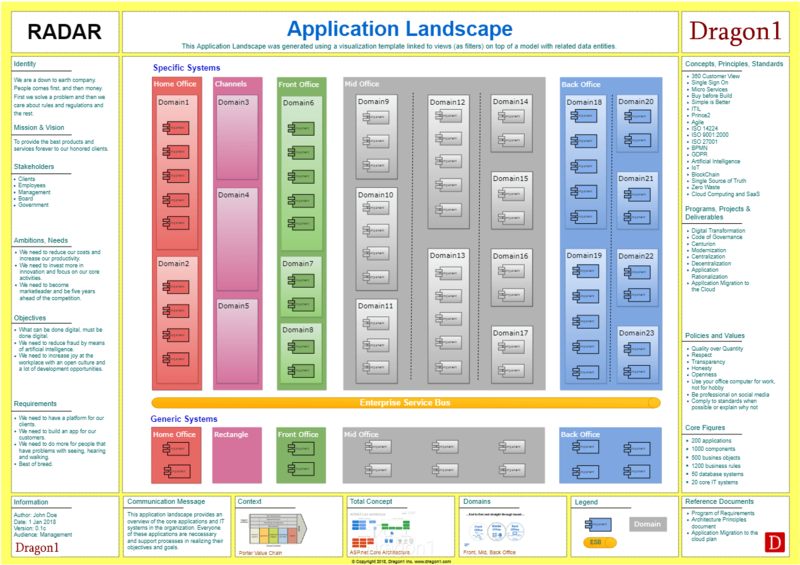 The How To Create an Application Landscape Diagram page gets you going, but leaves some questions. The Application Landscape focuses mainly around applications (and their databases, dataobjects and interfaces), processes and servers are often excluded. 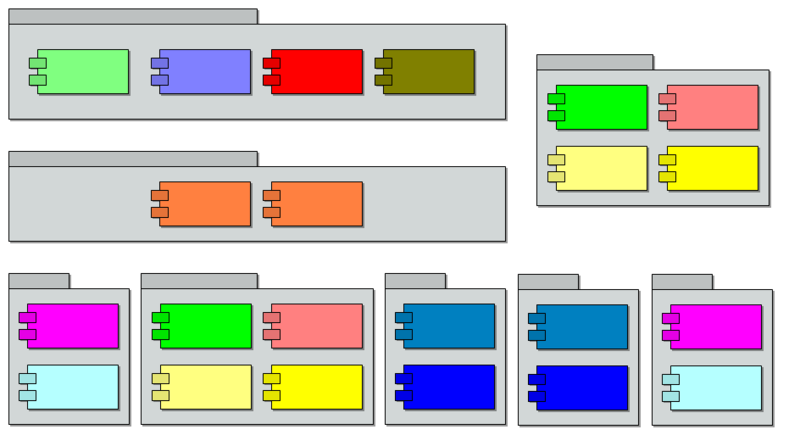 Views where processes and servers are included with applications are not so much applications landscape views but rather IT-landscape views, Business landscape views and enterprise landscape views. We will give examples of some of these views on the How To page soon, based on the input we get here. So I am very much interested what views you need or already work with on your Application Landscape. What do you consider to be top priority application landscape views to create for your management to take decisions with? Read more about Dragon1 as EA Tool, to start creating your own Dragon1 Appplication Landscape Diagram. Read more about Dragon1 as ArchiMate Tool, to start creating your own ArchiMate Application Landscape Diagram. This Archimate Diagram is an example application landscape pattern on Dragon1, available as editable template.